The holidays are here, and that means you might be hosting a dinner or attending one. Whether you are the host or party goer, having yummy food is a must. 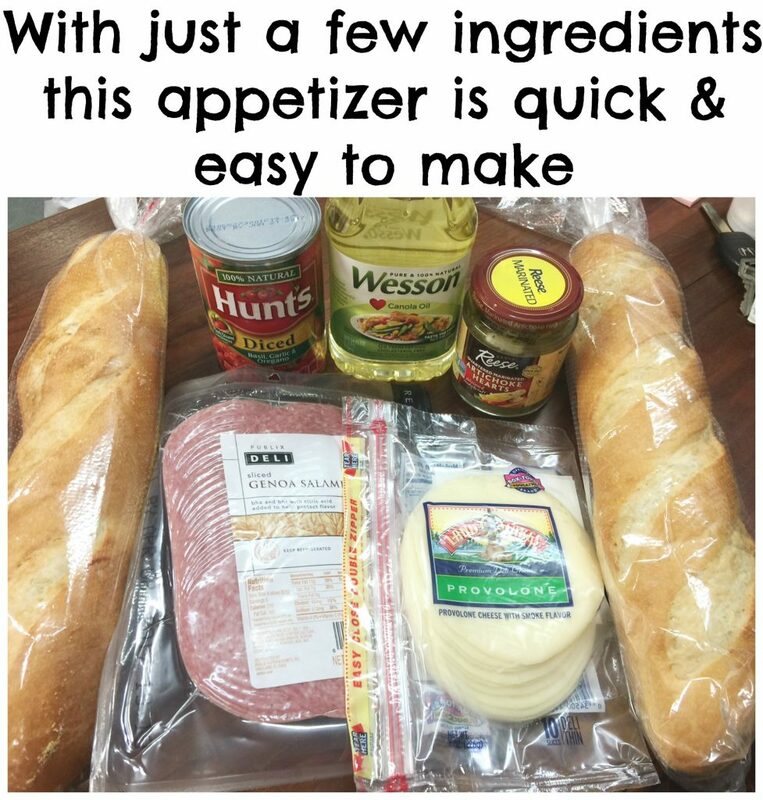 Today I want to show you an easy and delicious appetizer that will be ideal for the party you have or the one you attend. 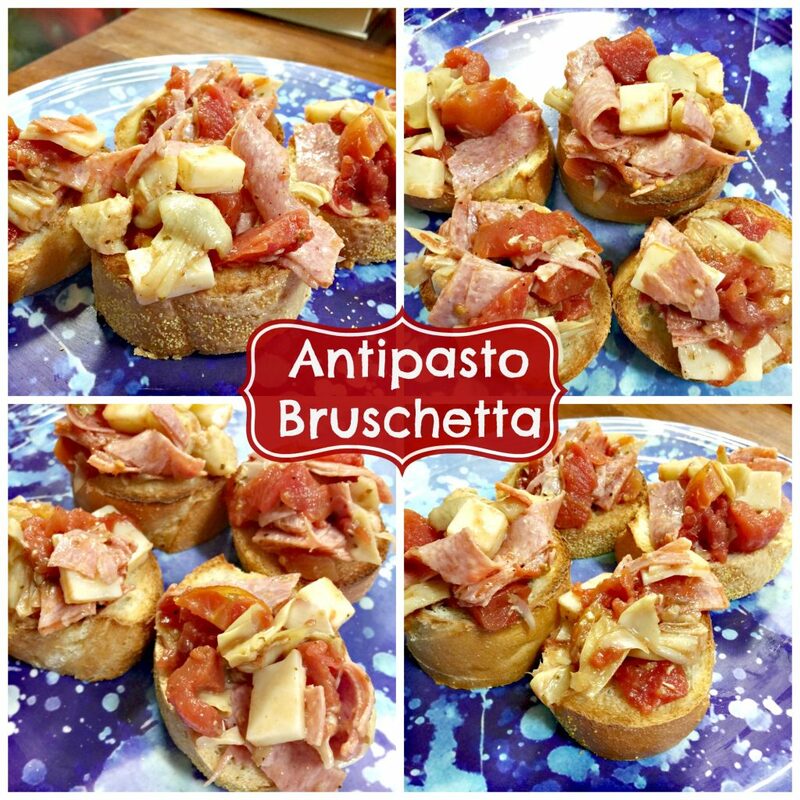 It’s called Antipasto Bruschetta, and it’s super simple to make and full of flavor. I headed to my local Publix to pick up the ingredients to make this easy bruschetta. All I needed was bread, oil, artichoke hearts, hunts canned and diced tomatoes, salami, provolone cheese, salt, and pepper. For full measurements check out the full recipe here. The hardest part of this recipe is cutting the veggies. Which should tell you just how easy it is to make. Aside from toasting your bread, you don’t have to cook anything! To make this recipe, you simply start by draining your tomatoes and artichoke hearts, then pour into a large bowl. 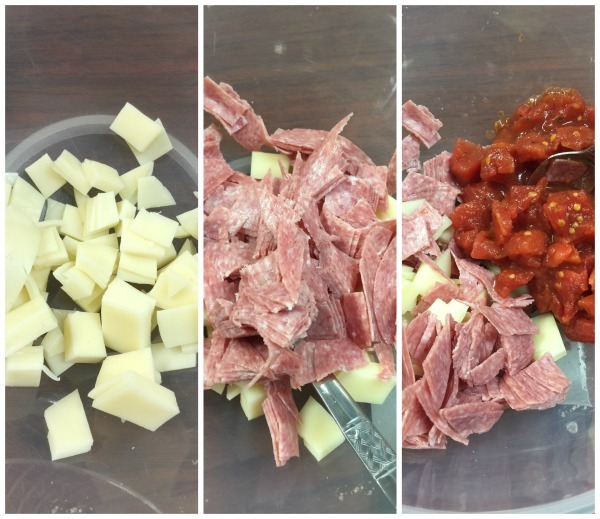 Next, chop up your salami and cheese and add to bowl. You can add some Italian flat leaf parsley, but we opted out of that. Last add you oil, salt, and pepper then stir and allow to refrigerate for one hour. Those all sound so good, don’t you think? I can’t wait to try out some of the other amazing recipes Publix Best Meals at Home features. For now, though let’s spread a little holiday cheer. Through December 30, 2016, you have a chance to win a $25 Publix gift card. Entering is easy! 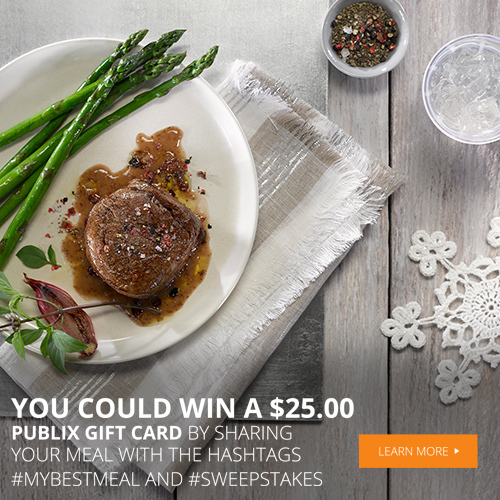 Simply upload your recipe creation using #MyBestMeal & #Sweepstakes to either Twitter or Instagram or you can upload an image at BestMealsAtHome.com, and that’s all you have to do. If you are chosen as a winner, you will be contacted, and this is also an excellent way to check out all the yummy creations by people from all over! Please remember that by entering you have to tag both hashtags per the FTC’s Endorsement Guidelines. So, what are you waiting for, try your hand at this easy bruschetta and enter the sweepstakes!